Corporate responsibility has been part of GoLite’s ethos since our founding in 1998, and we are committed to building a sustainable business. We are following a multi-year, metrics-based path to sustainability, striving to eliminate or mitigate 100% of our environmental footprint and be a model company in how we treat our people and community. They very generously sent me the TravelLite Backpack in Coriander, and the GoLite Wheeled Carry-On bag in Pinot to review here on Wanderlu5t. 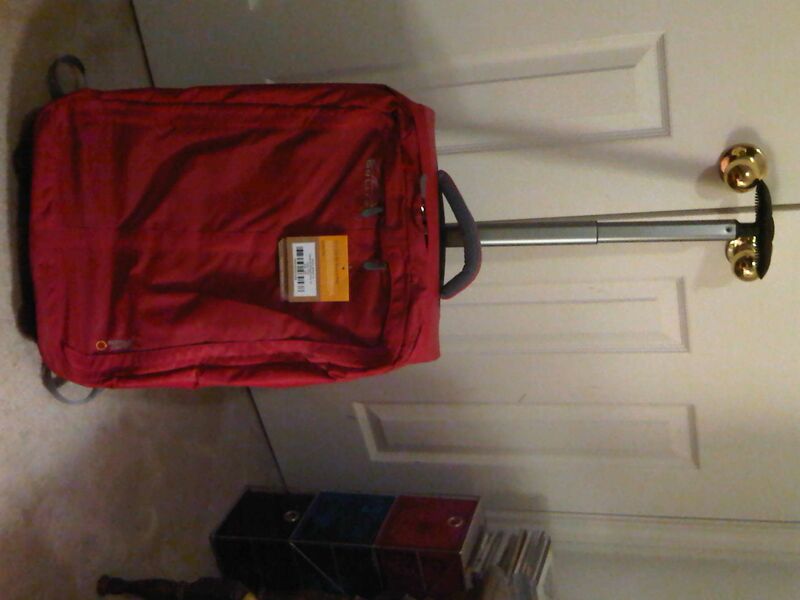 The Carry-On retails for $175, and the Backpack retails for $100. Both are made of recycled material (I love that! ), and despite their compact appearance, can hold quite a bit. Let’s start with the Carry-On. I prefer to travel light, even on extended trips. I really don’t like being burdened with a ton of bags and a heavy backpack or purse, especially since I tend to pack at the last minute and have to RUN through several terminals to make my flights. I’m an ace at planning trips and findng good travel deals, but don’t expect to see an entry here about sticking to a schedule, lol. 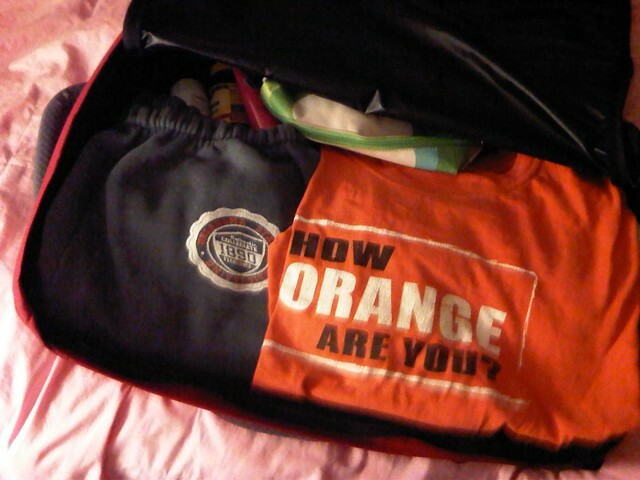 Also, I don’t like paying $25 and up for checked bags, so being able to fit as much as I can into one bag helps. I was instantly smitten with my new Carry-On the second it arrived. It’s so small and unimposing, yet I can fit my makeup, toiletries, and a few outfits in the lower compartment, and still manage to fit a few more things in the upper compartment. It also has two smaller, zippered compartments on the front, which are big enough for storing books, medication, or snacks. Although it is a rolling bag, it can double as a backpack, which, for me, makes it far and away better than what I’ve used in the past. 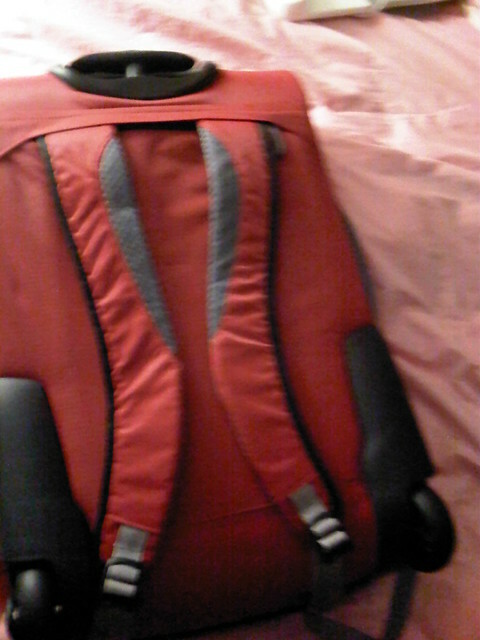 The backpack feature frees up space in checked bags for souvenirs and such, or arms, for racing through huge airports. 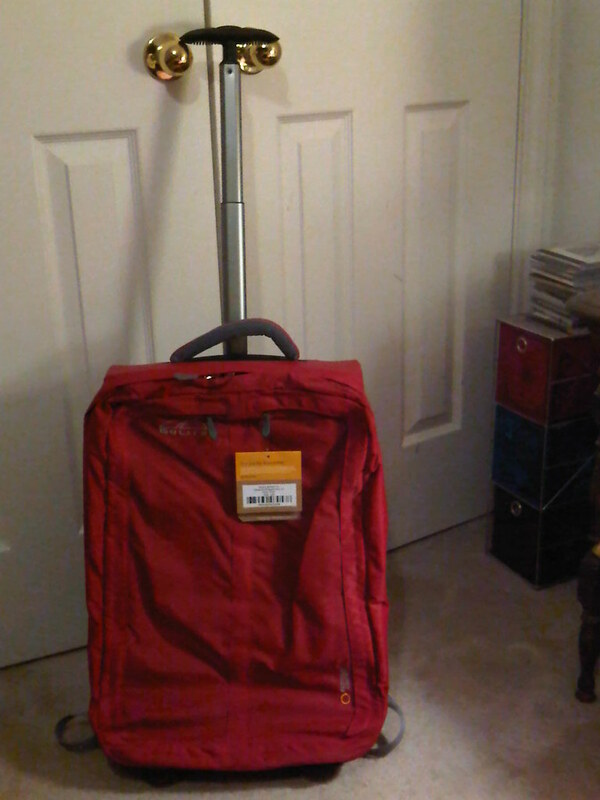 Overall, it’s one of the best suitcases/bags I’ve ever come across, and I look forward to taking it on my next trip. On to the TravelLite Backpack. 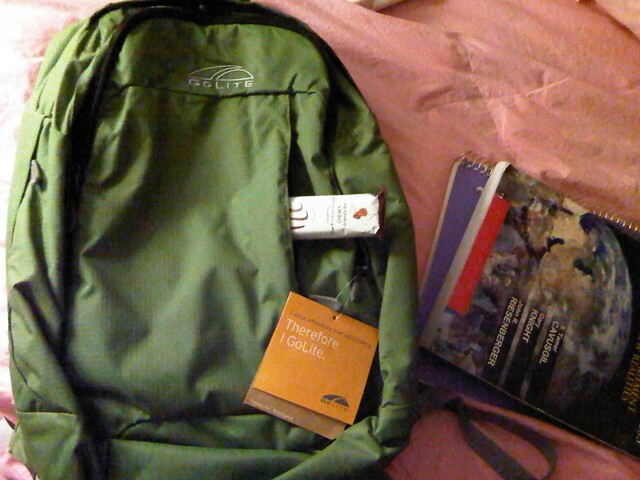 Being my only serviceable backpack, my old North Face backpack is my go-to carry-on bag, but it’s bulky, and evenputting a book or two and some snacks in it makes it even heavier than it already is. Testing out the TravelLite yielded a different result, however. 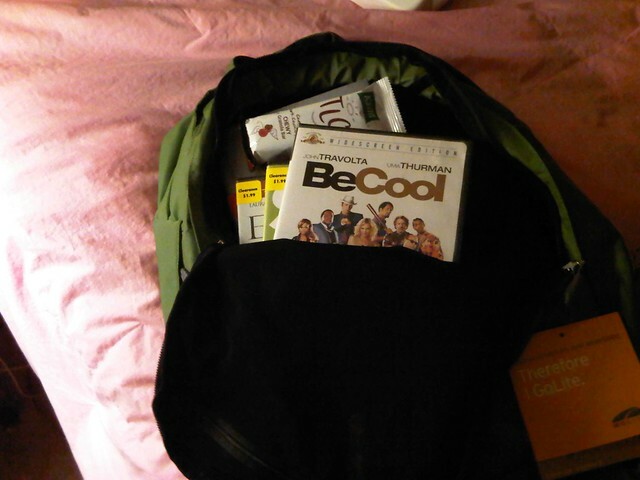 I put books, DVDs, and a few snacks in it, and it didn’t get heavy! I could walk around with it on without feeling like I was dragging a load of bricks, something I can’t do with a full North Face bag. I think I’ve found a permanent replacement for my North Face backpack. 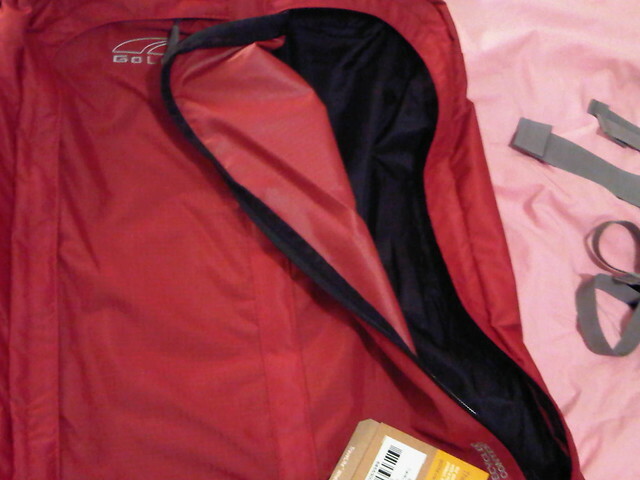 I’m also in love with the front compartments, which my North Face doesn’t have. It’s a great bag overall. Both bags are great, and I want my dear Wanderlu5t readers to have a shot of winning one! GoLite has graciously agreed to send a bag to one of my readers. The contest will run from today, December 1, 2010, to January 5, 2011. Good luck, and a million thanks to GoLite and Scott from Outside PR! Awesome giveaway! I’m following your new wanderlu5t Twitter feed. I would choose the Hydro Clutch the Messenger bag and the lite tote….but those are hard decisions….need to find something nice for my trip in january! Thanks for the chance to win. I really like their HydroSprint, Shangri-La and the Travelite Tote. I could choose more, but I guess I should stop! I like their hydration packs too. We bike a lot in the summer and I’m going to have to invest in one. I really like the TraveLite Messenger Bag in black! got three friends to subscribe! “@wanderlu5t is giving away GoLite travel gear! I like the travelite backpack.